Been a busy 8 days! 2 trips to the theatre, 1 trip to the movies, 1 band rehearsal, one night in the studio engineering someone else and a bit of remixing on the side. 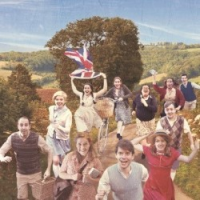 As a result, I've got a few reviews to catch up, so lets start with an easy one, the lashings of joy that is Bumper Blyton at Nottingham Theatre Royal. What you get is a two hour improv performance, all in the style of the prolific children's author Enid Blyton. Elements of the story are suggested by the audience at the beginning, all expertly weaved into a wondrous, perilous tale, that leaves you going home with a satisfying smile on your face. But two hours of improv, are they up to the task, do they pull it off without hesitation, deviation or repetition, and just who's line is it anyway? Well you'll have to read on to see how the gang coped in this evening of cliff-top peril, and malfunctioning bells. Well first, a confession, I've seen Bumper Blyton before, having caught their 1 hour show at the Edinburgh Fringe Festival last year. It won't be too much of a spoiler to say I absolutely loved it. So when I found a ticket for the Nottingham show in my Christmas haul, I was smiling already. But I did wonder how much of the plot was improv, or whether there were any rough set pieces they built a story around to weave in with the audience submitted elements. But I'm delighted to say, except for the obvious set of characters that have to exist, and the basic setup of Brother and Sister being sent to Dorset for their summer hols, I don't remember seeing any of the Edinburgh plot repeated here. The setting for tonight's adventure was the Nottingham Theatre Royal's Third Stage, a very clever idea for the theatre to be able to put on smaller, intimate shows on nights when the main house doesn't have a booking. As a small temporary stage in the Dress Circle Foyer, with seating laid out, it lets the theatre put on shows with audience sizes probably up to around 100 people. 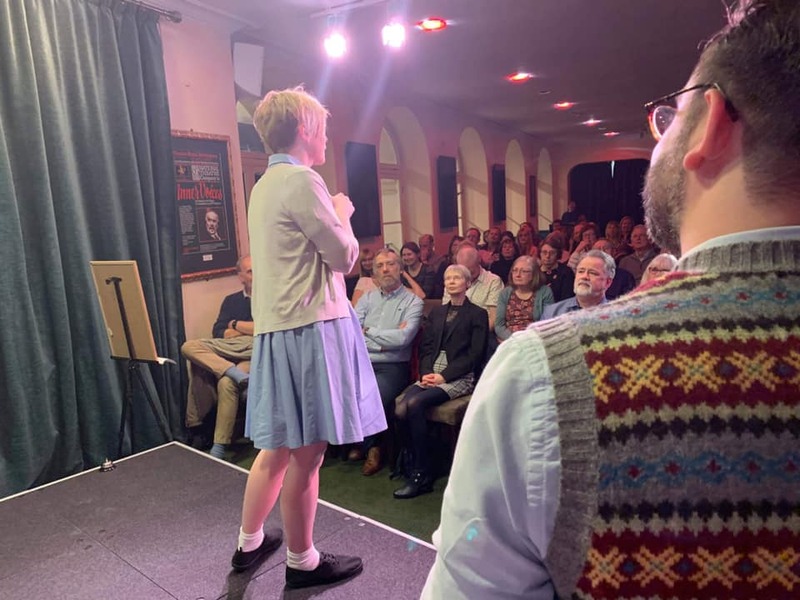 Right from the beginning the cast are in character and costume as they mingle with the audience to gain their suggestions, and tonight's challenging trio was A Scary Cow with a Hat, the Fortnite Floss and the word Peril. Which I have to say were all expertly woven in by the end of the first act. You soon get to realise this is a group of skilled and talented actors, ready to react quickly to anything thrown at them, such as a sudden mid-scene resurrection of a family member. They clearly delight in what they do, including throwing each other under the bus with challenges. My favourite was in the Edinburgh show where one cast member set the other up to have to tell the story in song, only to be dragged under themselves with the line "Knock Knock! Who's There? It's a Duet". Tonight's notable quick reaction was a remarkable transformation from young girl to cow as another cast members addresses a question to the previously non-present cow. It's hard to pick out one highlight from the show as the whole cast shone throughout, but I think tonight's star turn had to be the cow wearing a hat. You could tell instantly that's what you were dealing with, from the body posture to the exaggerated chewing - clearly animal studies paid off at drama school. The performance put me a little in mind of Peter Davison's dish of the day from Hitchhiker's Guide to the Galaxy. All in all an absolutely spiffing night out with some whizzer acting and top draw characterisation. I'd recommend it to anyone, and whilst you have to bring your own cucumber sandwiches and ginger beer, you might be lucky enough to get a Tunnock's Tea Cake thrown your way. And if you're really, really, lucky you might find yourself on their stage side photo like I was.